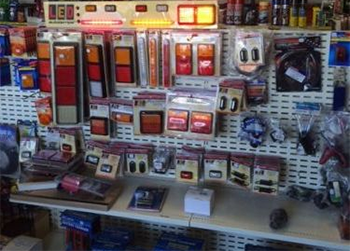 For all your car, four-wheel drive and light truck spare part requirements, Scone Spare Parts is the solution! We are a reliable distributor of car parts and accessories and automotive parts and accessories in Scone. Established in 2000 with a staff equipped with decades of experience and knowledge in car parts and accessories and automotive parts and accessories, we offer only the best products and spare parts in the market. We also specialise in spare parts for farming machinery and boats. Choose from our products including motor oil and tractor oil filters, trailer parts, farm machinery parts, suspension, tools, car mats and covers, mufflers, outboard oil, belts and batteries. We also have a wide range of Valvoline, Wynns and Nulon products should you prefer to purchase branded ones. If you need expert advice in car parts & accessories or automotive parts and accessories, we are always available for consultation over the phone. You can also drop by our office in Scone to look at our selection of products or to ask for expert advice.